Let's Talk... is Meadville Medical Center's campaign to overcome addiction! Check this page for a comprehensive list of resources! Check out our Recovery Resource Packet with all sort of information and treatment options for those with Substance Use Disorders and their loved ones here. Search for Treatment options here! The Alcoholics Anonymous is the premiere 12-Step organization, upon which the myriad of other 12-Steps programs were modeled after! While your loved one may not be dealing with Alcoholism, it is important to note that "Alcohol is a drug!" AA is just another useful resource to aide in your recovery. Welcome to Alpine Springs, a residential addiction treatment center designed by people who know what it’s like to be in your situation. Doug Datish and John O’Brien, co-founders, decided to create a center with the vision of a warm, open and friendly place that they would feel comfortable sending their family members to if need be. After watching helplessly as friends and loved ones fell prey to the drug epidemic sweeping across Northwestern and Central Pennsylvania, as well as Ohio, O’Brien decided he needed to do something. Along with his friend, ex-NFL player Doug Datish, who had his own personal experience with prescription drug addiction, the two men decided they wanted to give something back to their community by founding Alpine Springs. Celebrate Recovery is a Christ-centered recovery ministry for anyone struggling with hurts, hang-ups, and destructive habits, no matter how big or small. Their purpose is to fellowship and support one another as we celebrate God's healing power in our lives through the eight recovery principles found in the bible and in Christ-centered 12 steps. Find meeting times and more information here. The Center for Disease Control (CDC) has declared the opioid addiction crisis a full-blown public health epidemic. They have a plethora of resources and statistics regarding the opioid epidemic. The CDC works 24/7 to protect America from health, safety and security threats, both foreign and in the U.S. Whether diseases start at home or abroad, are chronic or acute, curable or preventable, human error or deliberate attack, the CDC fights disease and supports communities and citizens to do the same. The CDC increases the health security of our nation. As the nation’s health protection agency, the CDC saves lives and protects people from health threats. To accomplish their mission, the CDC conducts critical science and provides health information that protects our nation against expensive and dangerous health threats, and responds when these arise. Find more information on the opioid epidemic here. They have been incredibly helpful in the formation of our Not One More | NWPA chapter and we owe them a humongous debt of gratitude. Get in touch with them on Facebook page here. In 2013 Crawford County became a partner county in the PA System of Care (SOC). SOC works in partnership with youth and families to integrate the child-serving systems including the Child Welfare, Mental Health, Drug & Alcohol, Juvenile Justice and Education systems to be more family and youth-driven, coordinated, cost-effective, and trauma-informed in providing services and supports. The SOC population of focus is 8 – 18 year-olds and their families who have complex behavioral health challenges and multisystem involvement. The county SOC leadership team comprised of the senior leadership of drug and alcohol, education, human services, juvenile justice, mental health, and Women’s Services, together with an equal number of family and youth partners, meets monthly to implement the 8 standards of SOC (http://www.pasocpartnership.org/). The Crawford County SOC Partnership has selected high-fidelity wraparound (HFW) as a direct support for identified youth with multisystem involvement. Crawford County Human Services provides HFW services through MHY Family Services, Inc. A 5 member team comprised of a supervisor/coach, facilitator, family support partner, and youth support partner assist families and youth navigate the service system to meet their individual needs. For more information on HFW visit www.yftipa.org or contact us through this page. Crawford SOC initiatives include: partnership management of the county Safe Schools/Healthy Students grant, Peace4Crawford (trauma-informed and resilient county www.peace4crawford.org), the Annual Trauma-Informed and Resilient Communities Conference, the Open Table (a faith-based initiative of community supports), the Garrett Lee Smith Memorial Suicide Prevention Program. Check out their useful resource page for all sorts of great information here! Vision | We envision a community where compassion, open discussion, education, and collaboration are promoted in order to reduce youth suicide risk factors and where help is available to all those in need in order to prevent youth suicide. A new local webpage with resources for those struggling with drug addiction! Check it out to see if there's something we may have missed! Help for felons is an organization that is devoted to helping felons return to the workforce, find housing and other needs by providing up to date and relevant information that is useful. We are always working to expand our website (www.HelpForFelons.org) to include new information about jobs, training, loans for small businesses and job skills among other things. Mercy House is a local Christian counseling center, offering wrap-around therapy for addicts and their families. They also unique online program Recover Me Academy, administered locally by Mercy House of Meadville with the moto "Helping You Recovery You". The Central Western Pennsylvania Area Narcotics Anonymous Service Committee serves the Crawford and Venango County communities. Narcotics Anonymous is fellowship who's only requirement for membership is the desire to stop using. If you or a loved one is struggling with a drug problem come to one of their meetings. They will be glad to see you, and you will be glad you went! They are showing addicts of all genders, ages, races, ethnicities, religions, and sexual orientations that there is another way to live, clean. 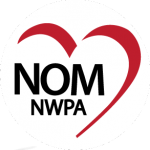 The Not One More | NWPA Board is composed of several dedicated community-minded individuals that have dealt with the horrors of drug addiction firsthand, and want to help their neighbors who are suffering. Have unique skills or interests? Join our Board and help us keep this ball rolling! A local consortium of Recovery Specialists that provide counseling for drug addicts and their families. September is National Recovery Month. There are Recovery Celebrations in central locations all over Northwest Pennsylvania. Recovery Month is administered by the Substance Abuse and Mental Health Services Administration. This community event is held in Diamond Park in Meadville, PA and has food, fun, speakers, and tables featuring local agencies, treatment facilities, and recovery groups! The event is organized by the CCDAEC and community members. Come to join in the celebration! Peace4Crawford is a trauma informed initiative, based in the PA System of Care (SOC) Partnership, promoting social change in Crawford County, heading toward a trauma informed community. The SOC is a framework involving collaboration across the community for the purpose of creating a seamless, integrated, and coordinated system of supports for children, youth, and families that is family and youth-driven, strength-based, and trauma informed. The SOC helps children, youth, and families function better at home, in school, in the community, and throughout life. It is comprised of professional agencies involved in the health and wellbeing of the community, family partners, and youth partners. What is an Adverse Childhood Experience? An adverse childhood experience (ACE) describes a traumatic experience in a person’s life occurring before the age of 18 that the person remembers as an adult. These traumatic experiences negatively impact health and behavior. Thanks to visionary leadership, allied professionals, community stakeholders, and a committed group of staff and volunteers, Women’s Services has offered hope and encouragement to many. Our years of service to Crawford County and the Meadville area have taught us repeatedly that we are fortunate to be part of such a truly generous and caring community. Violence doesn’t just affect the person experiencing it; it also affects the entire community. The whole community, working together, can eliminate violence. By uniting community efforts, Women’s Services provides leadership to overcome violence. Tom K. is the Rehab Singer! He goes to recovery centers, jails and halfway houses to spread the message of recovery!